Hi all! We've almost finished our first week back to school! We've been trying to get settled into a new schedule and hopefully this next week will find us working out the kinks. The curriculum we are using this year is very thorough and the kids are finding it a bit of a challenge. 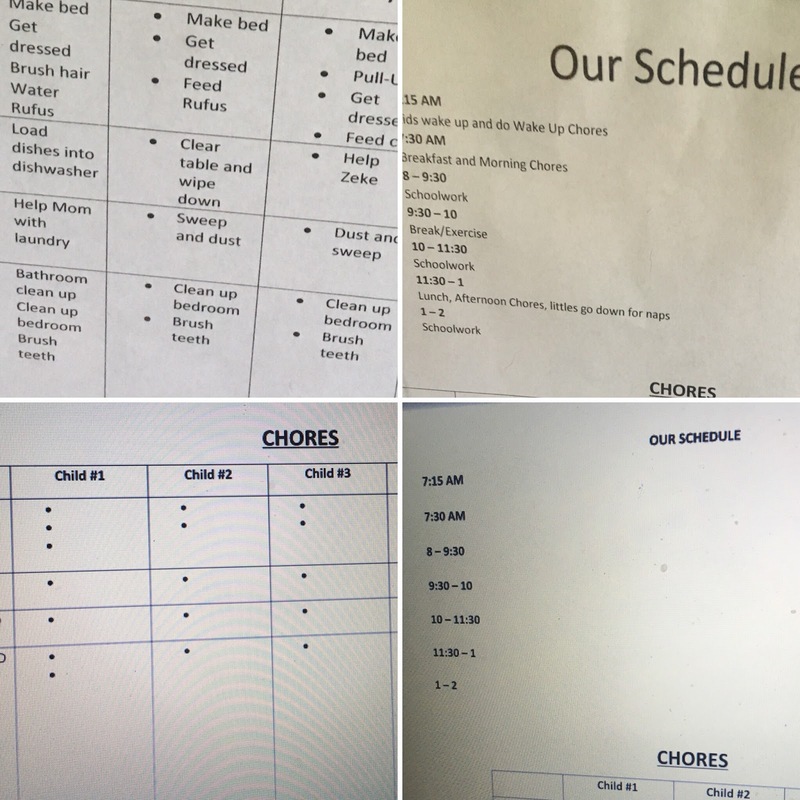 I made a new daily schedule up for them that they're getting used to as well. 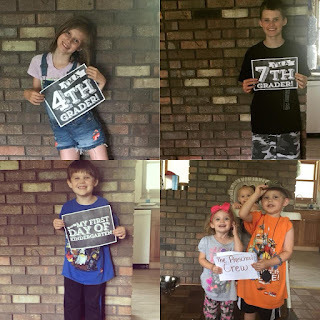 I watched some videos from different large family bloggers and realized just how much I was doing FOR the kids instead of them helping out and doing their fair share...that, along with talking to my husband inspired me to get them doing more. It's been an uphill battle, having the kids adapting to the new schoolwork and the new schedule. They've discovered that if they sleep in or mess around during school hours, that they then have to spend more time working into the afternoon and cutting down on their playtime. I also am finding myself having to remind, remind, point to the list, remind, check their work, remind...it can be very tiring. I'm not doing this to be mean though, instead I want to teach them to be more responsible and to use their time wisely. I'll keep you updated on the progress. After discussing schedules with a friend the other day, I decided to go ahead and make a printable for my subscribers! I've included an example copy of what our schedule looks like and then several different editable copies. 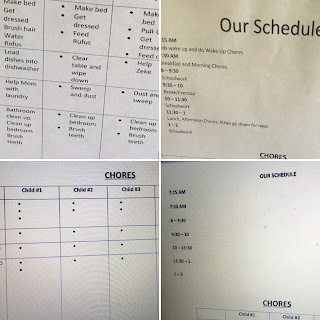 This is a very simple schedule and you can adapt it more to your liking - change the times around, add in more/less chores depending on your child's age, etc. If you'd like to get this printable, just go to this page here and sign up. Current subscribers, be sure to check your inbox today and you'll see an email from me!